Time does not heal all wounds. During World War II, tens of thousands of women and girls living in Southeast Asia were kidnapped by the Japanese army and forced into prostitution to serve the Japanese soldiers. These women were called ‘comfort women.’ Even though many years have passed since World War II, the surviving comfort women still bear the scars and pain of their horrific experiences. As a Korean-American, New York City Assemblyman Ron Kim feels a special connection to the Korean comfort women now living in New York City, and wants to find a way to honor and empower these survivors. To learn more about providing holistic services to survivors of sexual trafficking, he connected with the Nomi Network team. 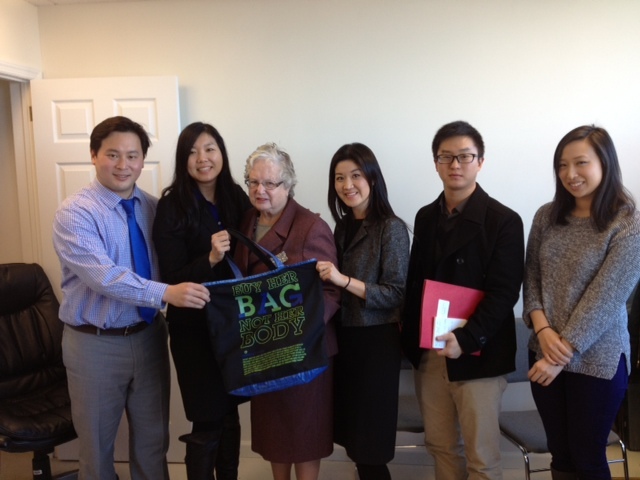 Diana Mao and Lisa Kim had the opportunity to meet with Assemblyman Kim and New York State Senator Toby Ann Stavisky last week at the Assemblyman’s office in Queens. 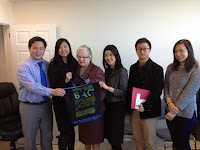 Senator Stavisky talked with Nomi staff about current issues affecting people in Queens, and Assemblyman Kim spoke of the issues directly facing former Korean comfort women living in the city. At this meeting, Diana and Lisa were able to share about Nomi's targeted vocational training and job creation programs in India and Cambodia. The leadership at Nomi Network is pleased to have had the opportunity to speak with the Assemblyman and the Senator about ways they might collaborate in the future to support women, because when women are empowered through education and a sustainable income, the entire community benefits.